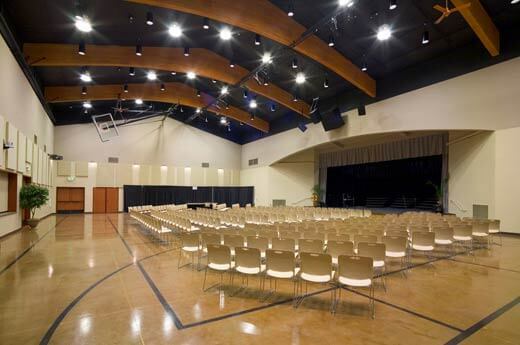 Lakehills Church features a multi-purpose hall, the current venue for Sunday church services, houses noise dampening panels and a fully functional stage, with set design components incorporated into the design. 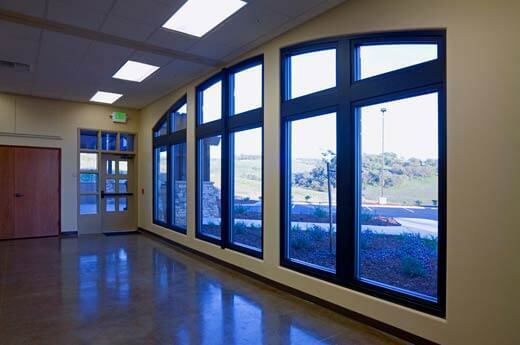 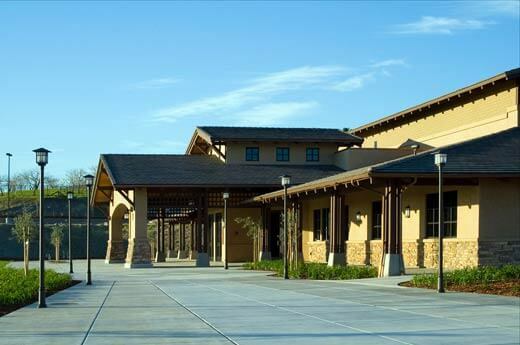 In building a comfortable place for the community at large, the Lakehills Church congregation desired a fully licensed institutional kitchen and outdoor eating area overlooking the surrounding hills. 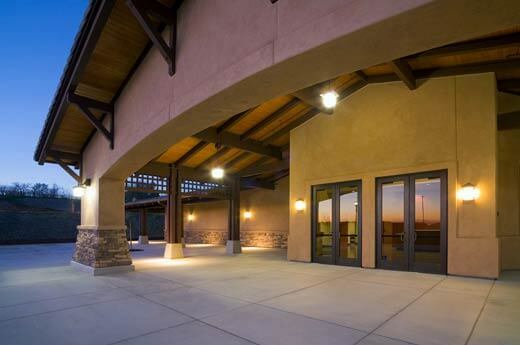 The facility design was inspired by pre-WWII Architecture to reflect a new idealism for the area. 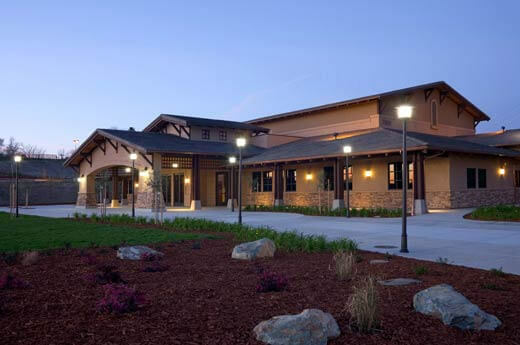 The designs were transformed into a more craftsman-era structure, with low-sloping roofs and exposed beams, and other contextual design elements reminiscent of the era and of the local culture.